When youAndrsquo;re working on the go, space matters. This is why the HUAWEI MateBook was designed with portability in mind. Presented in an ultra-thin design, the HUAWEI MateBook is the perfect companion to accompany you during your travels. Its all metal unibody weighs in at just 640 grams and measures 6.9 mm in slimness, making it easy to carry. Deceptively quick and incredibly powerful, the HUAWEI MateBook features up to 8GB LPDDR3 Andamp; up to 512GB high-speed SSD. Equipped with a 6th Gen IntelAndreg; CoreAndtrade; m7 dual-core processor that clocks in at a blazing fast 3.1 GHz, you can easily organize, prioritize, and visualize every part of your life with ease. The HUAWEI MateBook lets you look closer into the important details. Experience what you see with the HUAWEI MateBook. 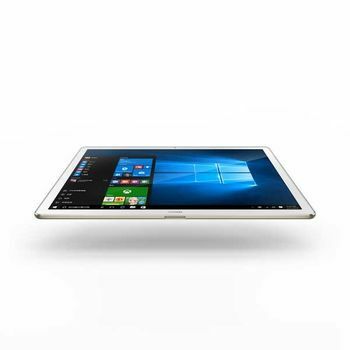 Featuring a 12-inch IPS multi-touch screen, the HUAWEI MateBook shows you more detail and clarity at a jaw-dropping 2160x1440 resolution. And with a 160Anddeg; wide viewing angle, youAndrsquo;ll be able to see your favorite content at almost any angle. EVERYTHING YOU WANT IN ONE STREAMLINED PACKAGE When youAndrsquo;re working on the go, space matters. This is why the HUAWEI MateBook was designed with portability in mind. Presented in an ultra-thin design, the HUAWEI MateBook is the perfect companion to accompany you during your travels. Its all metal unibody weighs in at just 640 grams and measures 6.9 mm in slimness, making it easy to carry. 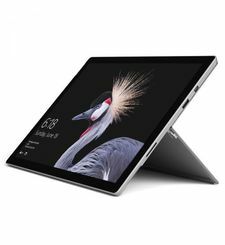 POWERFULLY PROFESSIONAL Deceptively quick and incredibly powerful, the HUAWEI MateBook features up to 8GB LPDDR3 Andamp; up to 512GB high-speed SSD. Equipped with a 6th Gen IntelAndreg; CoreAndtrade; m7 dual-core processor that clocks in at a blazing fast 3.1 GHz, you can easily organize, prioritize, and visualize every part of your life with ease. TOTAL CONTROL OVER EVERY EXPRESSION The HUAWEI MateBook comes with the HUAWEI MatePen to give you greater control and focus over your actions. Featuring a sensor that detects 2048 levels of sensitivity and an easy access eraser mode, you can make clear expressions with bold strokes. YOUR WINDOW TO WONDER The HUAWEI MateBook lets you look closer into the important details. IT'S HARD TO TAKE YOUR EYES OFF IT Experience what you see with the HUAWEI MateBook. Featuring a 12-inch IPS multi-touch screen, the HUAWEI MateBook shows you more detail and clarity at a jaw-dropping 2160x1440 resolution. And with a 160Anddeg; wide viewing angle, youAndrsquo;ll be able to see your favorite content at almost any angle.